Author and Editor Clive Young Will Be a Speaker at LIPopCon 2015! Clive Young is a writer/editor based in New York. 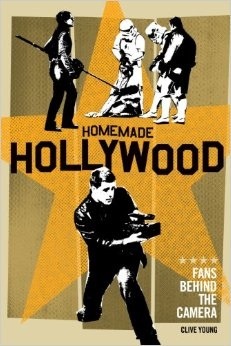 His latest book, Homemade Hollywood: Fans Behind The Camera, melds together the histories of pop-culture fandom, amateur filmmaking and copyright theory, and has received stellar reviews around the globe. He is also the author of Crank It Up: Live Sound Secrets of the Top Tour Engineers. Clive Young is also Managing Editor of Pro Sound News, Pro Audio Review, and ProSoundNetwork.com. Additionally, he has presented more than 150 historical pop-culture programs at universities, museums, libraries and other venues around the U.S.
Clive Young has also written for a variety of mainstream print. Some of these include MTV To Go, Gig, American Songwriter, Icon, Thoughtstyle, Music Business International (UK), Goldmine, Videography, DVDWorks, EQ En Espanol, Medialine, Long Island Voice, VH1.Com, Musicplayer.com, Sonicnet.com, iPodlounge.com, and many others. To learn more about Clive Young, please visit http://www.cliveyoung.com. For more information about featured guests at LIPopCon 2015, please visit our Featured Guests page!